White-eared Night Heron (Gorsachius magnificus) is a globally endangered bird. Its global distribution is poorly known. However, the heron appears to be distributed across southeast southern China and northern Vietnam. During the past 30 years, the species has been observed in five northern Vietnam provinces. In the past decade, it has been sparengly recorded only at six locations in two provinces: Bac Kan and Tuyen Quang. Estimates indicate global population of between 350- 1,500 individuals. Very little is known about the ecology, biology, and behaviour of the species compared to other Night Herons. The species seems to occur in subtropical and tropical forest, with recent records from sites close to streams, rivers, reservoirs and rice-fields (close to or within forest). The diet includes small fish, frogs, crustaceans, shrimps and invertebrates. It has been observed to be crepuscular in nature, active at night, and roosting in tall trees during the day. The species nests alone or in small groups and lays a clutch of 3-5 eggs. The White-eared Night Heron was previously thought to be possibly extinct in Vietnam prior to the 2001 rediscovery of one individual at Lung Ly, within the Ban Thi-Xuan Lac area, in 2001 by BirdLife Vietnam. The only previous record from Vietnam was a specimen collected in Hoa Binh province prior to 1975 . In the 2010-2011 heron nesting season, PRCF discovered eleven nests inside the Ba Be/ Na Hang Conservation Complex, which include Ba Be National Park, Na Hang Nature Reserve, and the Xuan Lac Species and Habitat Conservation Area. 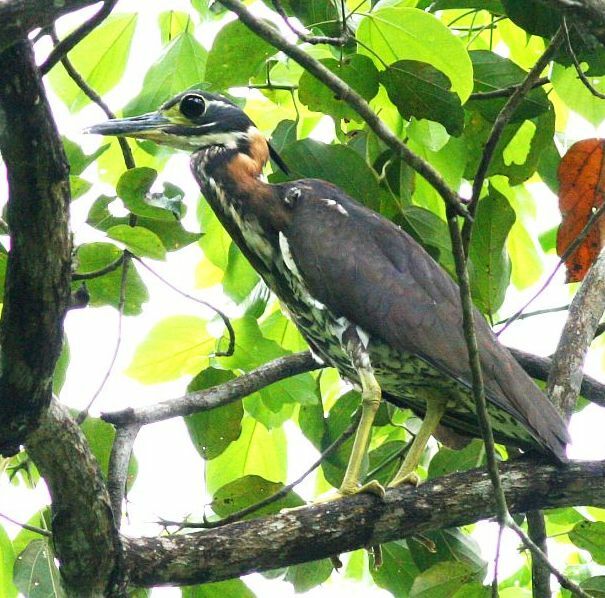 This conservation landscape might be the main known White-eared Night Heron habitat in Vietnam. Major threats to species include habitat destruction due to extensive use of land and natural resources. PRCF has engaged in conservation of this species in Vietnam through research, action planning, nest protection programs, and conservation management training to local conservation groups. Learn more about PRCF Vietnam’s White-eared Night Heron nest protection initiatives.